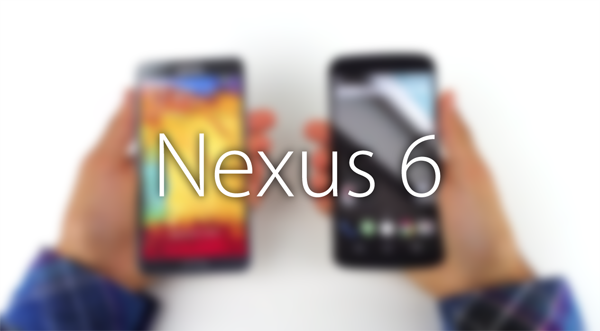 The Google Nexus 6 is apparently set to hit the market in the next few weeks along with the company’s Android L software, and having caught several glimpses of the device already, we know that it’s going to look almost identical to the 2nd-gen Moto X but with a much larger display. To be precise, reports are suggesting a panel with a diameter of 5.92 inches – bigger than the iPhone 6 Plus and even Samsung’s all-new Galaxy Note 4 – and although the fact that it eclipses any Note that Samsung has ever released gives us an idea as to its sheer monstrousness, a new clip puts things into perspective by pitting a Nexus 6 mockup / render against some of the market’s other high-end handsets. Also being touted as the “Nexus X,” the fact that it is so large may appeal to some, but also work to its disadvantage. After all, not everybody wants or is able to use such a sizeable gadget, but then again, those unable to cope with such a form factor could always just opt for the Moto X.
We’re probably looking more forward to Android L and its material design than we are the Nexus 6, but nevertheless, Nexus Season always generates a fair amount of hype. Sensing this, the folks at Canoopsy have put together a clip showing an accurate render of the device alongside a number of other, decidedly more familiar smartphones. Even though the Nexus 6 is apparently larger in terms of display size than those compared with here, the actual footprint of the device doesn’t actually dwarf that of its competitors, and if you liked the Moto X but wanted a phablet version, your dream handset awaits you. Away from the display, which, by the way, will be a quad-HD offering with a resolution of 2,560 x 1440 pixels (498 ppi), the Nexus 6 is also expected to include a quad-core Qualcomm Snapdragon 805 processor. Accompanying the powerhouse SoC, there’ll be 3GB of RAM, 32GB of on-board storage and a 13-megapixel rear-facing shooter. If you’re waiting on the Nexus 6, Canoopsy’s video is definitely worth checking out, and with the Galaxy Note 4 also about to hit the shelves this month in the United States, it’s going to be all-out war among the giants of the mobile industry. I’m actually super depressed about the Nexus 6 size..
I’ve been a loyal Nexus fan for years, & I think the Nexus 5 is right on the money. The OPO is just a tad too big for me (& I’d say i have pretty small hands, but im willing to do some stretching). Did it hurt to show the back of the phone for at least 3 focking seconds??? The big question is…..Will it bend?